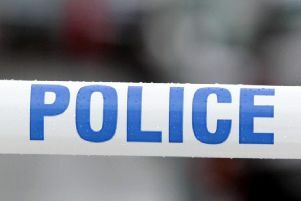 Witnesses are being sought after a man stepped out of nearby trees and indecently exposed himself in a Northampton park. Between 5.30pm and 6pm on Thursday, November 8, a woman was running on The Racecourse, close to the playground near to Barratt Road, when a man stepped out of nearby trees, Northamptonshire Police today said. He appeared to be doing up his flies but as she approached it became clear he was inappropriately touching himself. He did not speak to the woman, who ran away. A spokeswoman for Northamptonshire Police said: "The suspect is described as a white man, aged 25-35, with short brown hair. "He was smartly dressed and wearing a big winter coat, which was undone." Anyone with information about this incident or the identity of the suspect is asked to call police on 101. Information can also be passed to Crimestoppers in confidence on 0800 555111.